Eshbach Brothers is Eastern Pennsylvania's leading masonry contractor and is committed to providing the best service to our customers. We do this by having well trained craftsmen and an experienced management team. In addition to talent, we also use the strongest and most reliable brick, block, and mortar to get your project built right. Founded on honesty, integrity, and quality, our company has not wavered from our century old tradition. As a locally owned family business since 1913, Eshbach Brothers is dedicated to the Eastern Pennsylvania community, leading projects that make the economy stronger, strengthen our schools, and improve local neighborhoods. While we specialize in both public and commercial construction, our award winning team can complete almost any task. 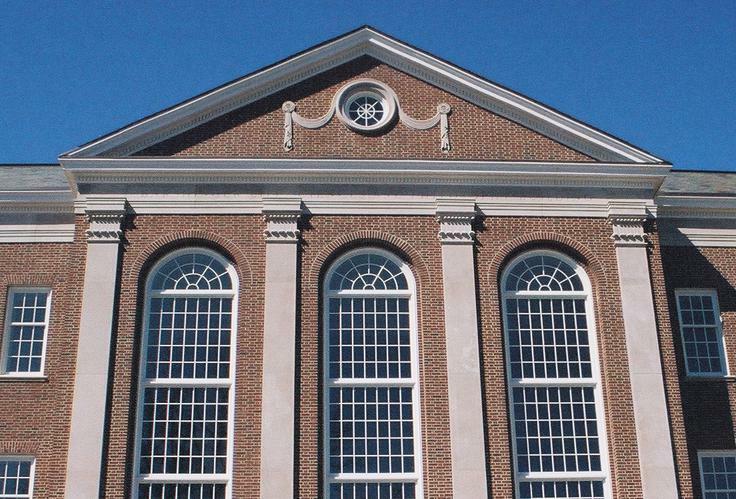 From schools and hospitals, to arenas, theaters, and restoration work, Eshbach is recognized for excellent craftsmanship. Earning the 2014 Subcontracter of the Year award from general contractor Alvin H. Butz stands as testament to the dedication of our masons, laborers, and central office staff. A result of our succcess, Eshbach has become the largest masonry contractor in Berks County as well as one of the most successful contractors in Eastern Pennsylvania. With over 100 years of expertise in masonry, our team is committed to architecture that stands the test of time. Eshbach Brothers is headquartered in Reading, Pennsylvania, a city that features historic buildings and unique landmarks. 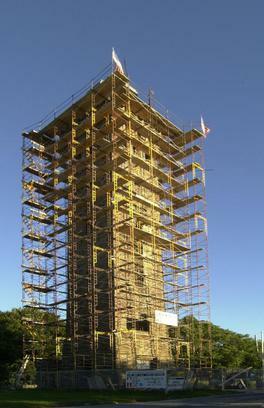 When Pagoda-Skyline Inc. began plans to restore the Works Progress Administration era William Penn Memorial Fire Tower, Eshbach joined their efforts and performed repairs to the tower's 120 foot high exterior in 2001. Sixty-two years of snow and rain took their toll and our masons painstakingly repaired stonework and replaced loose mortar to ensure that the interior was successfully weather and waterproofed. To this day. the William Penn Memorial Fire Tower stands strong atop the mountain, reminding residents and tourists of Reading's rich history.